Skin conditions like eczema dermatitis rosacea and psoriasis are helped by using EVOSKIN HEAL moisturiser for face and body application. The base is EVO extra virgin olive oil beeswax and witch hazel. The essential oil are Chamomile to calm the skin Geranium to balance the skin and Lavender to regenerate the skin. EVOSKIN HEAL is healing soothing and hydrating. There are no preservatives or chemicals it is 100% natural. The areas of the skin that need help find that EVOSKIN stops the dry itching feeling and soothes away redness and crusty areas. 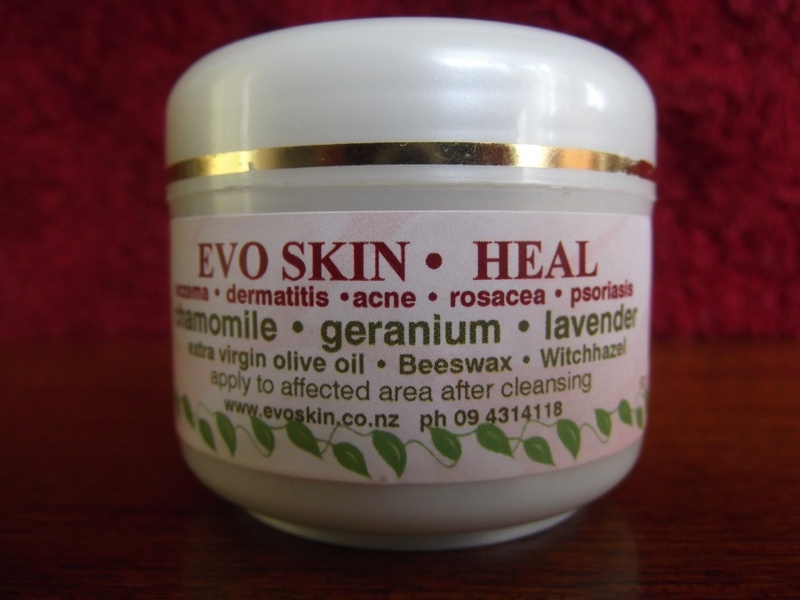 EVOSKIN HEAL can be used many times a day due to its gentle healing qualities. Use on the face as a moisturiser. Use on the body to heal skin problems. Use on the scalp. It is suitable for children 18 months and older.